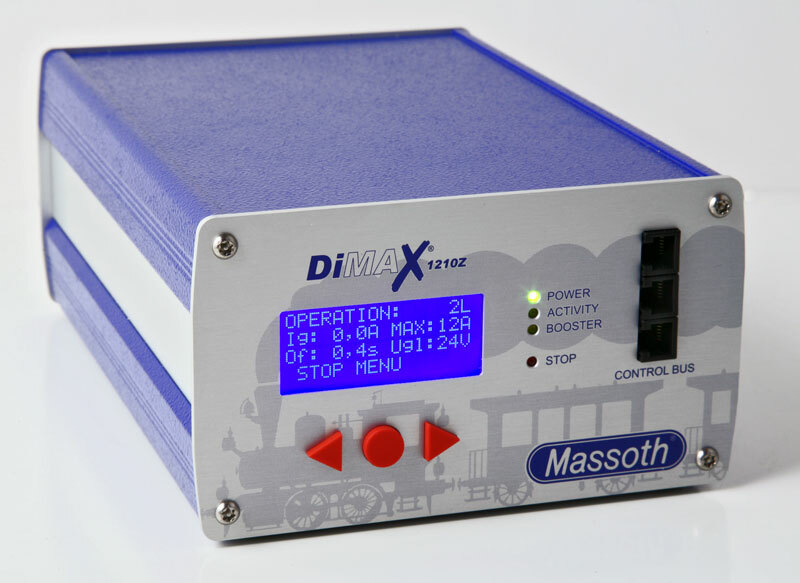 The Massoth DiMAX 1210Z Digital Central Station is a 12-Amp, state-of-the art, configurable, NMRA-DCC compliant, compact central station without an integrated transformer. It features a large easy to read back-lit display, adjustable current and voltage outputs, a user friendly control menu, 3 large front-panel-mounted buttons for menu navigation and control, 3 front-panel connections for peripheral components, one USB and one RS232 computer interface, a programming track connection, a booster connection, a temperature controlled fan, automatic over-heat protection, automatic short-circuit protection, and automatic overload protection. It is the optimal choice for operation and control of medium to large G-scale model train layouts. A unique feature of the DiMAX 1210Z is its ability to produce both digital and analog signals which enables it to control locomotives equipped with the newest decoders as well as those equipped with older sound modules. 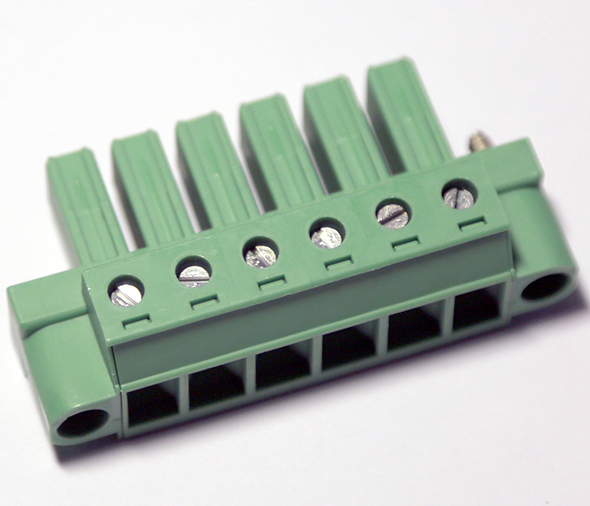 The DiMAX 1210Z updated computer interface can be used to install firmware updates to DiMAX bus components. It can also be used for computer-controlled layout operations; it is compatible with almost all software designed for this purpose. 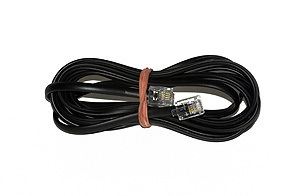 Supply voltage: 16-24 V DC, NO AC POWER!